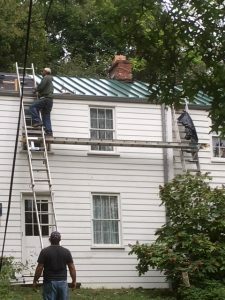 Construction of a new roof is in progress at the Rachel Carson Homestead. We are closed for tours until October 27. We invite you to join us then – please register for a tour at 11 am, 12 noon, or 1 pm. We also consider all requests for additional appointments, and do our best to accommodate visitors. Thank you! Appointments can be made by email info@RachelCarsonHomestead.org. Thank you for your interest! We look forward to your visit!